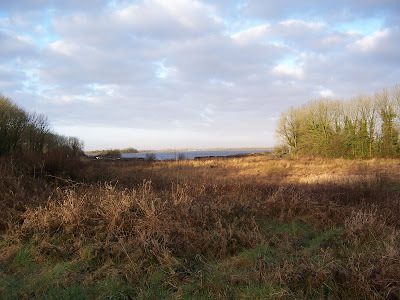 Lovely Ireland! In March of 2000, and then again last March we were so blessed to have the opportunity to travel there. 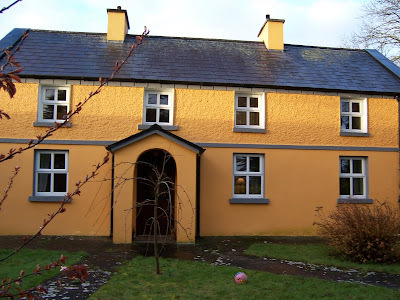 We were fortunate enough to catch a few sunny days in Ireland. Having been born and raised in the Arizona desert, I can assure you that there was nothing more magnificent to my eyes than to take in that glorious green landscape, especially when the horizon is met and reflected by such a blue sky. Sigh... more pics coming soon! I am a voracious reader and have read much of the post modern and existential literature that my college English professors insisted were essential for a well rounded library. I have discussed and debated the merits of great American writers like John Steinbeck, Ernest Hemingway and F. Scott Fitzgerald. I have thoroughly enjoyed everything ever written by Jane Austen and Charlotte Bronte. I have swam inside sympathetic darkness in stories penned by Sylvia Plath and J.D. Salinger. I have succumbed to the warm, character driven storytelling of Maeve Binchy and Elizabeth Berg, and have even indulged in a bit of "chic lit" from the likes of Sophie Kinsella and Jennifer Wiener. 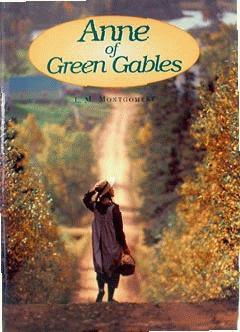 I find myself re-reading this sweet little novel, written by the late Canadian author Lucy Maud Montgomery, at least once a year. I own quite a few copies of it, and will buy new ones every so often, as the binding in the old ones begin to break down. For me, this story, is such a pleasant retreat from daily news, and the heartbreaking stories my husband, who is a police officer, often shares with me after a day out in his world. I long for a trip to Prince Edward Island, where I can experience all the environs described so beautifully in this book. Any other raspberry cordial drinking, kindred spirits out there? Which books lend you as much comfort as hot chocolate, knitted chenille socks, and the smell of a sweet pie baking do? The box was created out of recycled materials, old lace and silvery hand glittered letters. I really had so much fun with this doll! I think doll making is such a great way to relieve stress and exercise the imagination. Hope everyone is having a good weekend! Thank you again for all of your sweet comments! One of my first loves as a kid was building dollhouses and making little people and things to inhabit it's small, magical world. In my mid-twenties, I rediscovered dollhouses and doll making through Maureen Carlson's awesome book How to Create Clay Characters, and later, the utterly fabulous James Carrington's 1/12 Scale Character Figures for the Dolls' House. Back then, my dolls were invariably constructed from polymer clays such as Fimo and Super Sculpey, and for my large scale Santas, I still work with that medium. 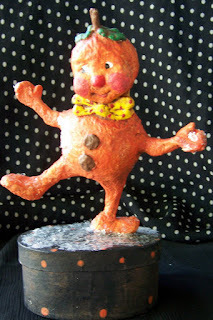 When I started playing with Creative Paperclay and paper mache, I always worked in a larger scale, creating folk art characters with more of a sense of 20th century "kitsch" (see goofy paper mache "Pumpkin Man" with the polka dotted tie below), rather than in the Victorian and primitive styles. 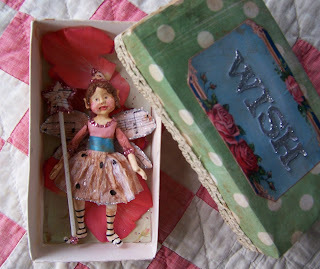 After participating the Vintage Dragonfly's Valentine paper doll swap , I was inspired to try making an altered art style pixie in miniature scale, with hand sculpted and hand painted features, and finished with a painted polka dotted crepe paper skirt, sheet music wings, sugary glass glitter, stripey-elfish stockings, lots and lots more glitter and antiquing washes. 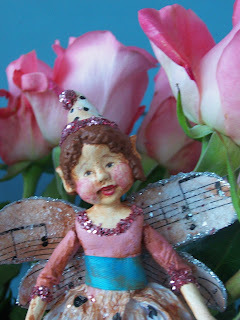 Hot off the the sculpting table...the little pixie below measures under 5 1/2 inches. I caught her this morning hiding in my Valentine's Day bouquet!!! 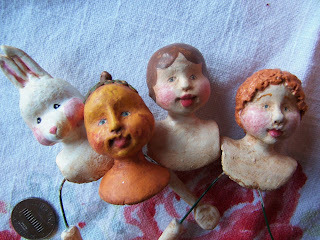 So now, in full swing miniature mode, I have been sculpting and painting (and will be wax dipping) these funny faces, which I plan to costume in the "Regency" style . 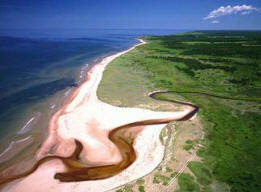 This is the kind of thing that makes me really eager for the weekend to begin so that I can get started. In the meanwhile, I'd love to get your thoughts on what I have here. I think I might be listing the mini Pixie on eBay eBay on Sunday night. I'll update if I do :-). My husband and I usually like to take a mini vacation for our anniversary. An Arizona destination (like Sedona or Tucson) is usually where we head, but from time to time we'll take a quick trip to out favorite city in the United States... San Francisco! It's only about 1 1/2 away by plane, or we might drive (12 hours!!!) to get there. Today I took the day off, and depending on the weather (we're due for heavy snow in Northern Arizona), we might head down to Prescott, AZ. Arizona's first state capitol, It's a wonderfully quaint town with gorgeous Victorian buildings, a string of real "Old West" saloons called Whiskey Row, and it's an Antique lover's paradise. 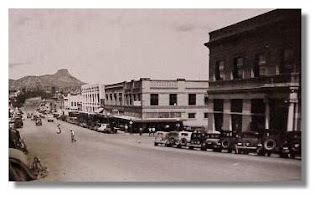 The picture above is of the town in the 1800's. If we go today, I'll snap a more recent shot! Thanks so much for everyone who has stopped by recently to leave such sweet comments about the valentines. It was such a treat to share them with you! This one is my absolute favorite. When our family jokes around, we'll sometimes start talking like 1920's gangsters... Hey you, take out the garbage... see! 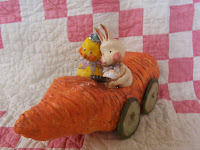 Eat your carrots... see! Hand me the remote...see! Over the next few posts I plan to share pictures from an awesome Valentine lot I won on eBay. I absolutely adore these graphics. This one is a mechanical. By moving the hat, the little girls eyes move back and forth. The recipient of this card pasted it in such a way that the mechanics would still function perfectly. I just love this one. Inside, a nice little note was written to the recipient, Billy. Its asks teasingly, "Is this a picture of you and Mildred on a picnic?" Little did the author nor Billy know at that time that those words would be broadcast into cyberspace 70 years later!!! Don't you love it when you come across and old picture or card that has writing in it? Especially when the message is cryptic, an inside joke between old friends, or a shared secret between sisters. Being a sentimental romantic, I am drawn to the mystery of it all. 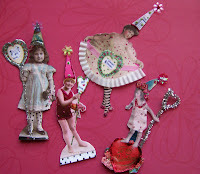 Take a look at the lovely paper dolls I received in the Valentine Paper Doll Swap!!!! The talented artists that created the pretty dolls that you see here are ( clockwise starting at the top): Angela Dasner, Christen Rogers, Danielle Muller and Crystal Korzep. If I find out where any of their blogs or websites are located, I'll be sure to post them here! !This was the first art swap I have participated in and I have to say I think I might be addicted!!! What a great way to celebrate Valentine's day!!!! A couple of weeks ago I decided to put the clay away for a day so that I could participate in the Valentine Doll Swap hosted by the lovely and talented Danielle of The Vintage Dragonfly.. Tomorrow I'll share all of the beautiful creations that I received in return! On a recent trip to an antique store, I picked up this chippy pink scale for a song! I was so excited!!! Notice the great little Cake Art Squared behind the scale? That's from the fantastically talented Jenny and Aaron at Everyday is a Holiday. 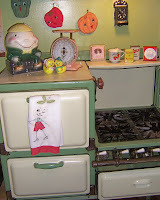 I love this little 1930's stove. When we purchased the house, the owners gave us the option of installing a modern oven, which would probably have been more practical, especially since I hold my breath in fear whenever I light the burners, and the oven in this stove is almost impossible to use in summer. Being non insulated, it heats the whole house up. But given the choice between cute and practical, cute usually wins me over. My kids know this of course, and play the cute card often. 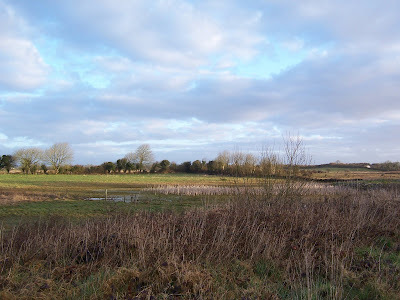 Same 10% off deal applies for blog readers!!! 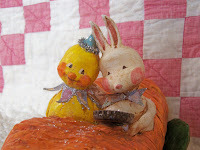 It's the first of the month, and these Springtime cuties are now available at Glitter and Grunge! Blog readers will get 10% off (and shipping is free for all!)!!!! Just mention in your ordering email that you saw this 10% off offer on my blog and you would like me to discount the order. Simple as pie! Great, now I am hungry for pie!! !